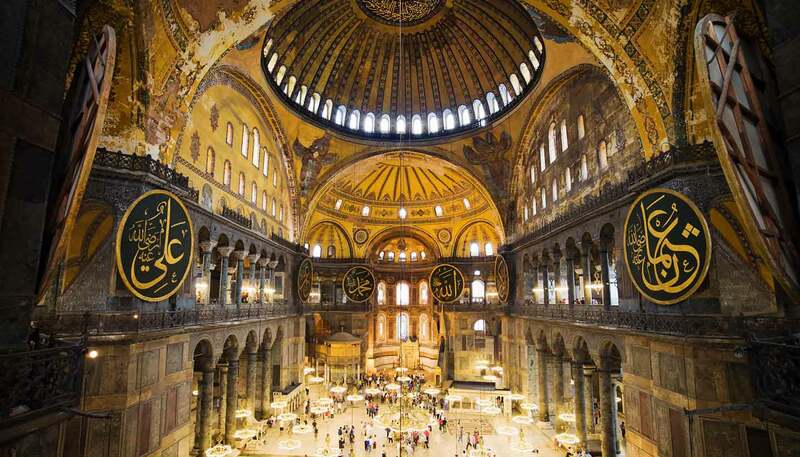 Istanbul's amazing cultural heritage is in part due to its location straddling the Bosphorus Strait. At a crucial confluence where Europe meets Asia Minor, the city can legitimately claim to be the point at which east meets west. First Byzantium, then the Byzantine's capital of Constantinople, this much fought over city fell to the Ottomans in the 15th century, after which it morphed into Istanbul. Today it may be a capital no more but this bustling, modern and creatively driven metropolis – one of the biggest cities in the world with around 14 million people – pulsates with energy. For most visitors Istanbul is all about Sultanahmet and the old city's liberal swag of museums and monuments are definitely the highlight attraction. But juxtaposed with the visible glory of its history is Istanbul's frantic pace of 21st-century life; with busy traffic-choked streets, classy shopping hubs and countless cafés. The city boasts a flourishing arts and music scene too with the hippest bars, clubs, art galleries and designer fashion outlets found facing off to Sultanahmet on the opposite (northern) shore of the Golden Horn in Beyoğlu. Cross the Bosphorus Strait to Istanbul's eastern shoreline, and you've crossed from Europe to Asia with no passport involved. Here, the district of Kadiköy is where to come for a slice of local life with a bustling street market scene, good shopping and a burgeoning nightlife and dining culture that is beginning to give Beyoğlu a run for its money.